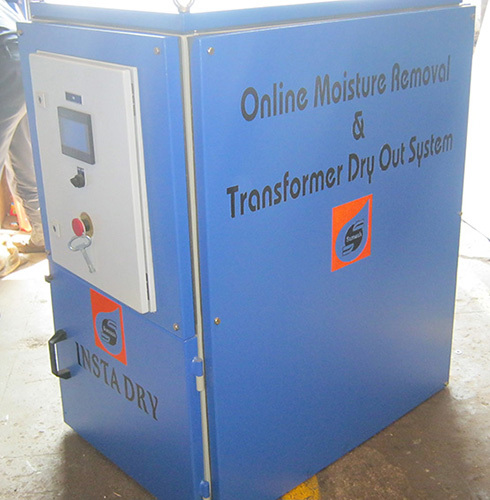 Our online transformer dry out unit is equipped with high quality of special media to remove the water from the transformer and its insulation paper. It is a moisture retaining and absorbing media. The moisture is separated from the oil without heating and vacuuming thus risk of oil spillage and operator is eradicated from the system. 1. Easy and hassle free installation. 2. Uses oil as the transfer medium to extract water from the paper insulation, where 95% of water is retained. 3. Continuous removal of moisture. 4. Online Moisture and Temperature monitoring. 5. Economic and Low maintenance system. 6. Sensor to monitor Oil Leakage. 7. Sensor the monitor the System Pressure. 8. PLC Operated System with recording facility. 1. Continuous monitoring and recording of the temperature and Moisture (PPM). 2. 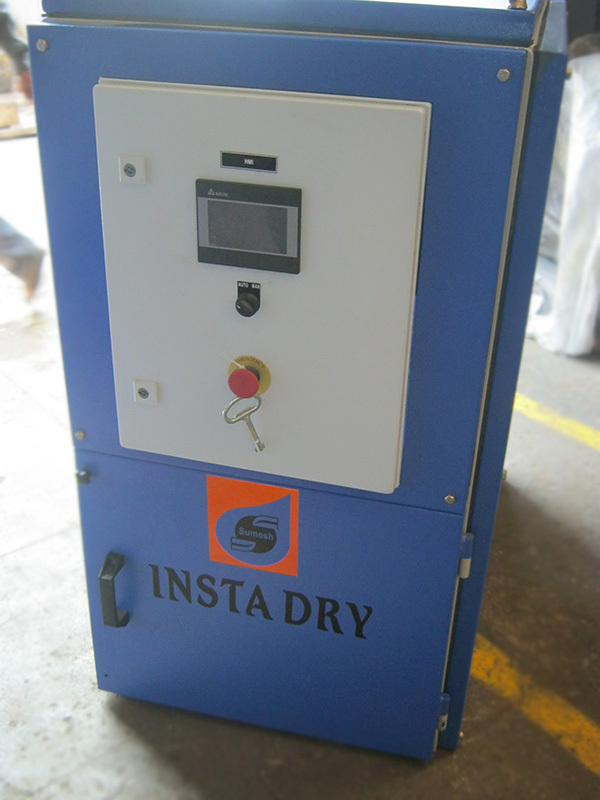 Continuous drying of the transformer. 3. Reduces the effects of ageing on transformers. 4. Increases reliability and service life of transformers. 5. Increases plant utilization and will allow capital expenditure to be deferred. 6. Increases reliability and service life of transformers by continuously removing moisture and particles. 7. Enables transformers to be run on higher load cycles with greatly reduced risk of failure. 8. Improves life of insulation by removing moisture from the insulation. 9. Reduce the breakdown cost. 1. Oil Leakage Detection sensor. 2. Inlet and Outlet Solenoid Valve for auto shut off in case of overpressure, leakage, Loss of flow & many other safety features. 3.Monitoring of PPM and saturation of cartridge. 4.PLC control panel for safety and recording and monitoring.